On January 25, 1967, Promoter Ed Francis held his first professional wrestling card of the year at the Honolulu International Center Arena. The card featured two tag team matches and three individual matches. 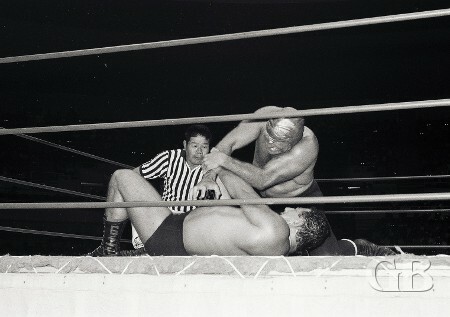 In the preliminaries, Karl Gotch defeated Tosh Togo on a disqualification and Billy White Wolf and Beauregarde wrestled to a draw. In a tag team match the team of The Missing Link and Eddie Morro defeated the team of Steve Stanlee and Kongozan. After Stanlee and Morro split a pair of falls, The Missing Link pinned Kongozan for the third and deciding fall. Eddie Morro applies the leg scissors to Steve Stanlee. Jim Hady and Hans Mortier wrestled to a draw. Mortier took the first fall with a claw hold, then Hady retaliated with an abdominal stretch for a submission fall. Time ran out before either wrestler could gain another fall. Hans Mortier tries to put the Claw Hold on Hady. 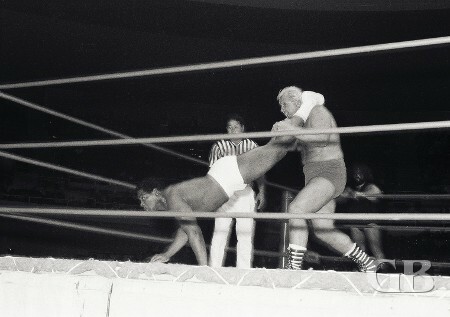 In the main event, a six man tag team battle, the trio of Ray Stevens, Patt Patterson, and Ripper Collins took two of three falls from the team of Johnny Barend, Cyclone Negra, and Cowboy Watts. 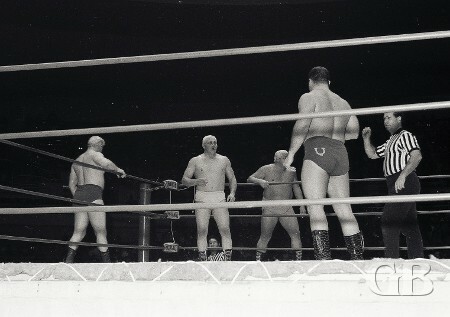 Cowboy Billy Watts confronts Patterson, Stevens, and Collins. 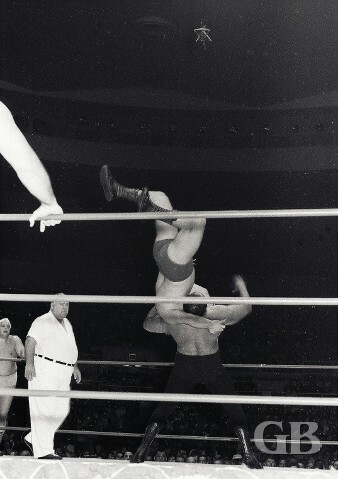 Cyclone Negra with a vertical suplex on Patt Patterson. Ripper Collins about to land the Georgia Five on Cyclone Negra as a battered Patt Patterson watches. 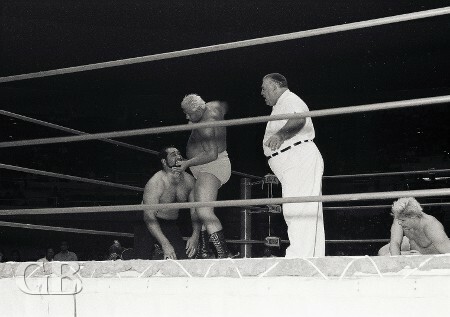 Billy Watts drags Patt Patterson away from the ropes as Ray Stevens objects to the ref. Cyclone Negra, Johnny Barend, and Billy Watts regroup in the corner.